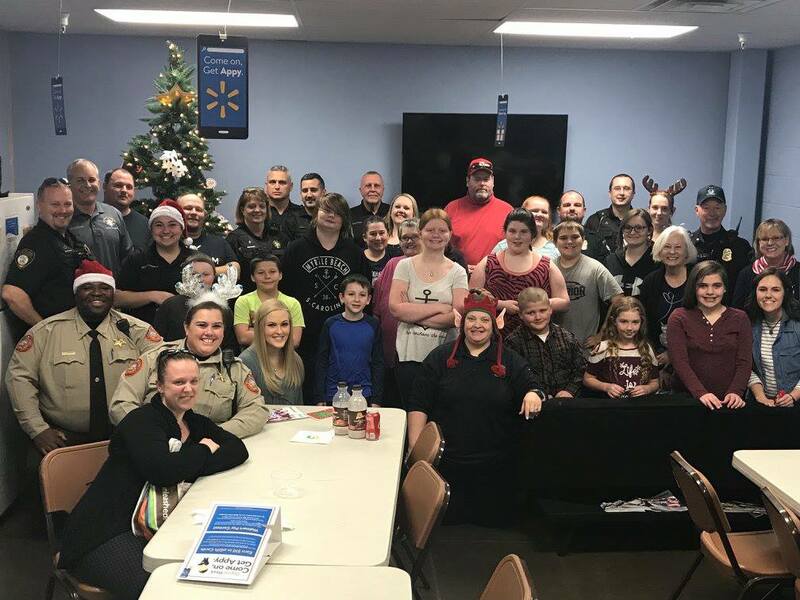 CLEVELAND, Ga. – Approximately 25-30 children and their families will receive a $200 gift certificate from Walmart, courtesy of the South Enotah Child Advocacy Center, White County Sheriff’s Office, Cleveland Police Department, and Helen Police Department during the annual Shop-With-a-Cop event Dec. 13 and 14. The recipients will be paired with a law enforcement officer to shop with and enjoy lunch in an effort to promote strong community relations. South Enotah Child Advocacy Center Executive Director Cheyenne Thornton said the event is geared toward children between the ages of 8 and 13 and the first $100 must be spent on clothing for the child. The next $100 can be spent on anything (apart from inappropriate videos/toys). Following the shopping, the children and their families will enjoy a lunch catered by Walmart.